The Happy Couple or the Unhappy Couple – Studies repeatedly show this is a critical factor in our health. There are very few of us who don’t know that out of control feeling of a distressed relationship airlifting all of our emotions & infiltrating our every thought process, aka – stewing. Happy Couple? There are endless jokes of nagging, spousal henpecking…..the fact is the toll of a stressful relationship ranks up there with other poor lifestyle habits. Heart disease is our #1 killer, and is the #1 killer of women – killing 4X as many women as breast cancer, striking women more and more below the age of 45. Multitasking is now a survival skill, and has become yet another deadly lifestyle habit of our toxic environment like fast food, smoking, sedentary behavior. Our relationships are caught in the crossfire from the barrage of demands, potentially leading to high blood pressure, gastric distress, poor eating habits, lack of concentration , adrenal fatigue, sleep deprivation- or picking up other nasty hazardous habits. All of these are gateways for chronic illnesses. Nagging, one person repeatedly making a request, the other person repeatedly ignoring it and both become increasingly annoyed—is an issue creating huge confrontation & relationship stress. While nagging provokes chuckles and eye-rolling, this dynamic can potentially be as dangerous to a marriage as adultery or bad finances. Experts say it is exactly the type of toxic communication that can eventually sink a relationship. 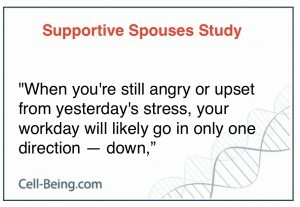 Dr. Markman published in the Journal of Family Psychology research indicating that couples who became unhappy five years into their marriage had a roughly 20% increase in negative communication patterns consistent with nagging, and a 12% decrease in positive communication. Marcie Pregulman is the co-founder and President of Love Your Relationship. She has been a relationship coach for the last 6 years helping couples and individuals meet their relationship goals over the telephone. Marcie is a member of The University of Denver Psychology Department. She is a PREP trainer and leads workshops throughout the world along with Dr. Markman teaching couples research based skills to help and enhance their relationships. According to Marcie, people divorce prematurely (and about 90% of those have not received help from a mental health professional and of those 10% many of those services were not evidence based services) and there is research to suggest that couples that stay together through the problems are happy in the long run that they did. This is a top blog u have. I think I’ll visit your site again if you publish more of the information. Many thanks for posting this info.